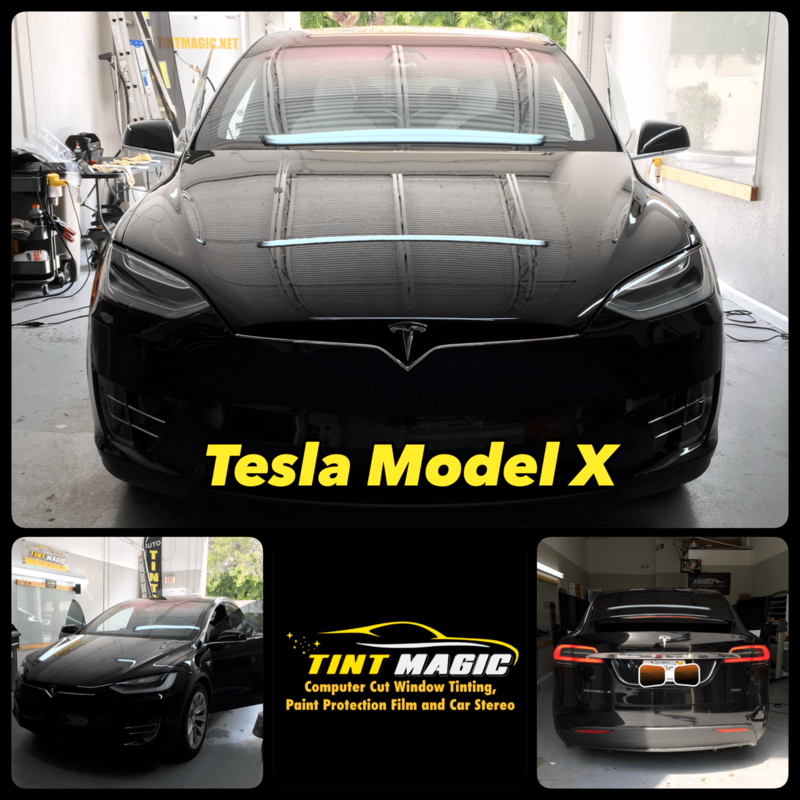 Tesla Model X 2017 at Tint Magic Window Tinting serving Parkland, Coral Springs, Tamarac, Coconut Creek, Sunrise, Weston, Margate. We install SunTek CXP Nano Carbon all around for the best heat rejection an UV protection, call us for the best quality and service! (954) 840-7883. We are located at 11344 Wiles Road Coral Springs, Fl 33076. You’re looking at an SUV that really impressed our judges in some ways, but lost points thanks to a lack of fold-flat second-row seats to allow owners to carry big stuff inside the car and traditional rear doors to permit strapping stuff to the roof. These gadgety, form-over-function errors cost the Model X dearly in our engineering excellence and performance of intended function criteria. The power front doors and the Rube Goldberg-esque falcon-wing rear doors both proved glitchy, occasionally striking adjacent cars and once peeling off a piece of its own rear quarter-window trim. Besides neutering the vehicle’s utility (prompting the quip “the U in SUV is silent here”), the mono-post seats rattle and don’t adjust comfortably. They lack inboard armrests, too. Even that big windshield, which is super cool for stargazing, turned the Tesla into a convection oven on a sunny desert day.